Plus you can view some other system information including your IP address and your approximate location. And if you like, you can share this information with anyone including legitimate support folks – for instance us! 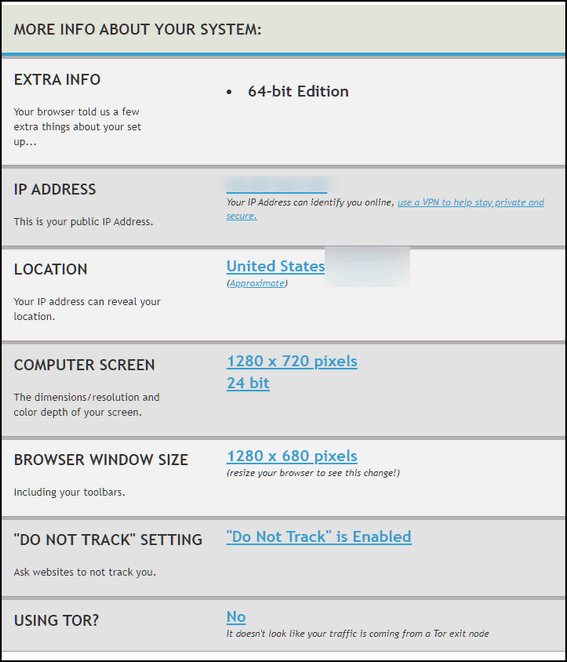 The site provides you a link if you want share your browser/PC info with someone else, but it’s totally up to you. Above: My Chrome Browser is up-to-date. 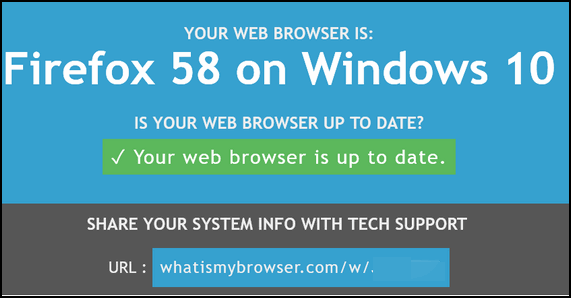 If it were not, this site provides instructions for updating Chrome or whatever browser you like to use. You’ll see a link you can copy and view in your browser or share with someone. Above: All about my Chrome browser. Some other information about my computer and browser. And though I use Chrome most of the time, our site pick will give you a lot of info about any browser you are using? See? So, there you go. 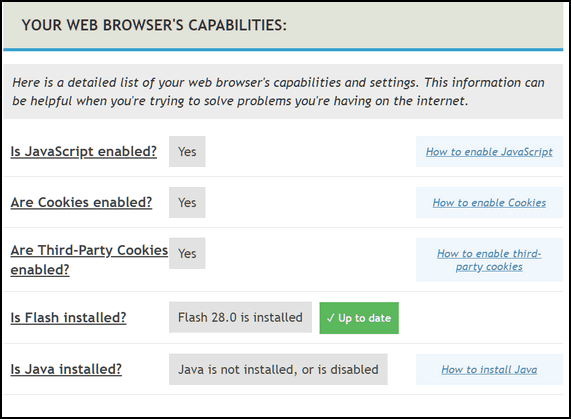 Find out if you’re using the latest greatest version of your favorite browser and a whole lot more from our Cloudeight Site pick called What Is My Browser. NOTE: We do not advocate using the sending of information to anyone. 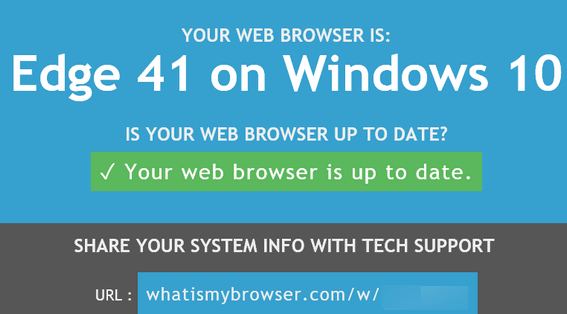 The “Share your system info with tech support” you see on this site is poorly worded and can lead to a lot of speculation, particularly tech support scams. However this site does not offer any tech support services. The intent, we think, was to inform you that you can share this information with anyone you want, for instance if someone you trust is working on you computer you could share this info with them. Although, it’s poorly worded, it is not a come-on for a tech support service. Basically you can and should ignore it. And if you see ads on the page for tech support, ignore those for sure.